Dog lovers unite! Chewy carries everything you need for your lovable furball all available at the click of a mouse. Spoil your dog with only the best in dog supplies for dog food, dog treats and dog toys. 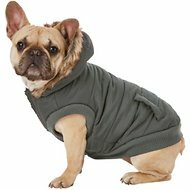 If you've been searching for faux fur dog clothing & accessories, look no further. 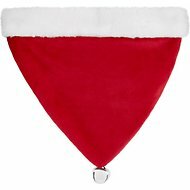 Among the wide selection we carry, one option to try is Outward Hound Holiday Santa Bandana Pet Costume. Key benefit: features a giant jingle bell that merrily rings with every step to announce his imminent paw-rrival. 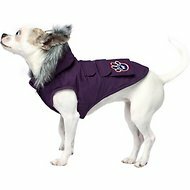 Another product is Pet Life Metallic Parka Dog Coat. Key benefit: lined with 3M Thinsulate Insulation Technology for extra protection from the cold. Chewy carries a wide selection of dog supplies to cater to your dog's wants and needs. You'll only find top brands for dog food, dog treats, and other dog supplies! 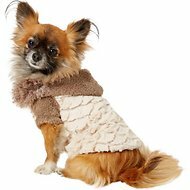 For all your pet needs including faux fur dog clothing & accessories, Chewy has you covered! We're here for you.